Power to Choose. Freedom to Save. We depend on our partners to provide exceptional service to our members. That’s why we are careful to choose only those companies we believe will deliver the most reliable, high quality services. Each company we represent has been rated A- to A+ by A.M. Best* for financial strength. By offering health insurance and life insurance from several leading companies, we’re able to provide our customers with the power of choice – and the opportunity to pick their lowest rates. The insurance companies we represent have also been carefully chosen to offer favorable rates to people with certain medical and lifestyle risks. That’s why we can obtain affordable coverage for people who smoke or take meds to control cholesterol, blood pressure or other health issues. Blue Shield of California is a health plan provider founded in 1939 and based in San Francisco, California. The organization serves over 4 million health plan members and nearly 65,000 physicians across the state. Compare plans with low rates or even zero plan premiums, plans with prescription drug coverage, plans with dental benefits, gym memberships and more. Consider your health, your doctors, your lifestyle and your budget and choose a plan that best fits your needs. Humana, headquartered in Louisville, KY, is ta leading healthcare company that offers a wide range of insurance products. Founded in 1961 Humana services more than 11 million customers across the U.S. and has more than 40,000 employees. The company markets health insurance services in all 50 U.S. states, D.C., and Puerto Rico, and has international business interests in Western Europe and Asia. Humana health and wellness services use an integrated approach to lifelong well-being. It uses its strengths to find ways to enhance wellness opportunities for the millions of people with whom company has active relationships. The company was founded in Edinburgh in 1825. The original name – The Life Insurance Company of Scotland – changed to The Standard Life Assurance Company in 1832. Standard Life was reincorporated as a mutual assurance company in 1925. Since our early beginnings, we have been an international business. At the end of the 19th century, we had agencies selling Standard Life policies in Ireland, Germany, Canada, Egypt, India, Shanghai and the West Indies. Throughout the 20th century we grew our business through innovation and diversification. We expanded from selling annuities and basic types of insurance into group pension schemes, savings and investments. At Transamerica, we make better tomorrows in every community we serve and every relationship we share. We help families make better financial futures and help them prepare for the unexpected. We have been building a strong reputation on solid management, sound decisions and consumer confidence for over 100 years. Over the last year, subject to state approval, Stonebridge Life has transitioned to the Transamerica name. However, we will continue to provide the service and support you’ve come to expect from Transamerica. UnitedHealth Group is the parent of UnitedHealthcare, the largest single health carrier in the United States. It was created in 1977, as UnitedHealthCare Corporation (it was renamed in 1998), but traces its origin to a firm it acquired in 1977, Charter Med Incorporated, which was founded in 1974. 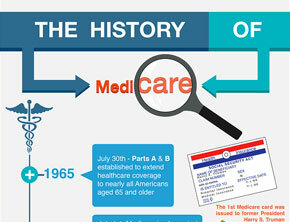 In 1979, it introduced the first network-based health plan for seniors. In 1984, it became a publicly traded company. Renaissance Dental is part of the Renaissance Family of Companies, which was founded in 1957 and has offices in Arkansas, Georgia, Indiana, Kentucky, Michigan, New Mexico, New York, North Carolina, Ohio, and Tennessee. Collectively, Renaissance companies cover 11.6 million people with annual paid claims of $3 billion. VSP Global® is a complementary group of leading companies, working together to meet and exceed the needs of eyecare professionals, clients, and our 70 million members worldwide. Combining the strength and expertise of each of these companies, VSP Global provides benefits, services, products, and solutions that are unparalleled in the optical industry. Eyecare professionals, who are on the front line of patient care, look to VSP Global as a trusted partner to deliver the very best patient experience and to ensure an exceptional relationship between eyecare provider and patient. *SeniorQuote only represents companies that have earned three of the highest ratings of 16 by A.M. Best, America’s leading insurance rating service. A.M. Best is an independent rating organization that assigns ratings measuring financial strength or claims-paying abilities. They consider factors such as overall operating performance, asset quality, financial flexibility, and capitalization. These ratings are current as of 5/1/14. Each company’s policies have their own terms, exclusions, limitations, and reductions for keeping them in force. Contact SeniorQuote for more details.